In terms of art history, acrylic paint is relatively new in the grand scheme of things. It was invented in the mid-20th century, where it started to rival the market corner of the art world that oil paints very much had their stake in. Acrylic paints are water based rather than oil based. This means that although they have a less luxurious feel, they are quick drying, non-toxic and can be used on a wider range of surfaces. Acrylic paints are also lightfast and permanent so actually, add a layer of protection to the materials painted on, rather than needed to be protected with varnish, like oil paints. Another benefit to acrylic paint? They clean up mainly with soap and water, so they are less likely to stain clothes. Acrylics are fairly versatile as well, you can actually alter the viscosity of them by adding a variety of gels, pastes and mediums. Also, they can actually be applied, not only to a variety of different surfaces, but you can apply them with brushes, knives, spray cans, roller or poured and splattered. 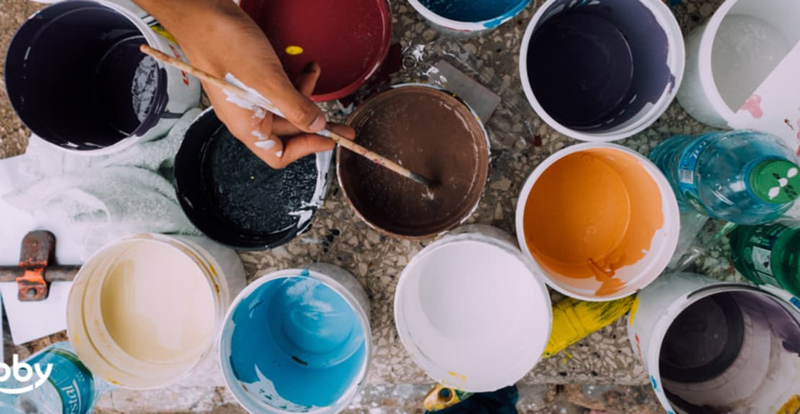 Acrylic paints have a polymer base, meaning you can alter them either with a high ratio of water, to a consistency similar of watercolour paints, or a high ratio of paint can be used to gain similar effects to that used in oil painting. Oils and acrylics cannot mix, they are incompatible. Science says so, not just art critics. You can, however, paint oils over acrylics, but it can be unpredictable as sometimes the oil might not react well to the paint underneath and separate in ways the artists may not have intended. Watercolour and acrylics can be used together but acrylic cannot be re-hydrated once dry like watercolour, so the difference in permanence can alter if you are mixing the two or using them both in the same work. Acrylics is that you can be applied to almost any stable, non-greasy surface. Water-absorbent surfaces, such as wood, need to be sealed beforehand with a sealant.